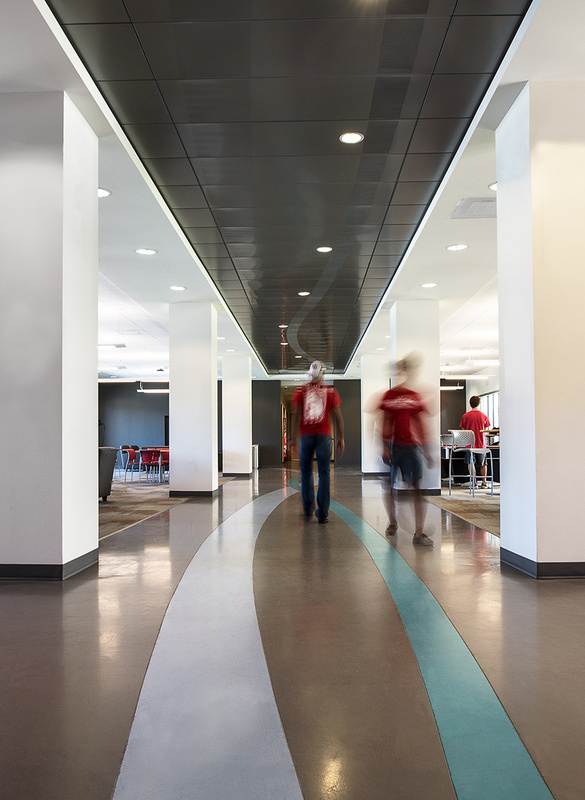 Like many universities across the nation, the University of Houston has experienced a significant increase in enrollment in recent years. This increase created a demand for both on and off-campus housing on the south side of Houston. 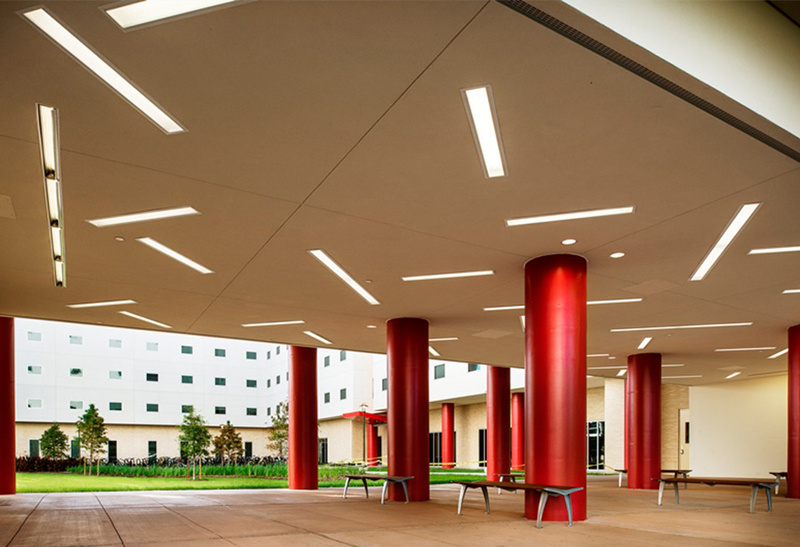 In an effort to maintain a vibrant student life on campus and compete with off-campus offerings, The University of Houston selected KSQ to create a housing complex to enhance and redefine the standard of living on the main campus. KSQ was challenged to break the mold created in the first phase while maintaining a strict budget established three years prior, and getting the project completed within 14 months. The design incorporates natural light to create a vibrant, open atmosphere. 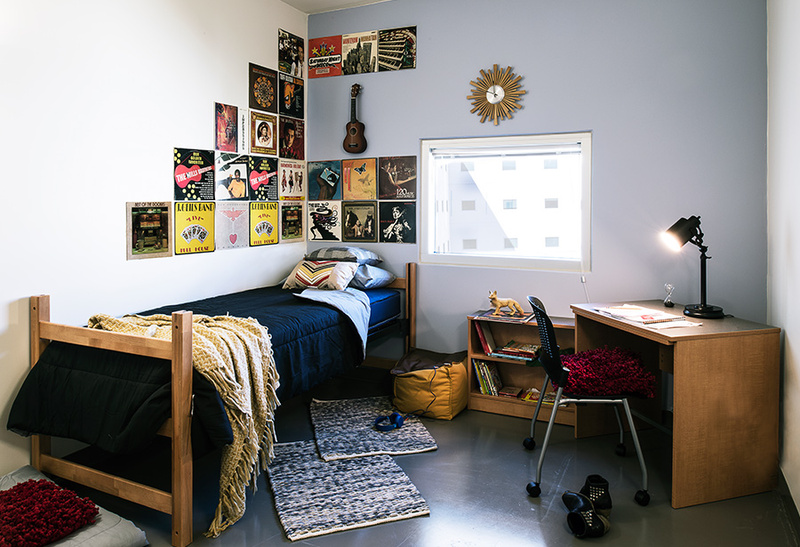 Completed in association with Brave/Architecture, the living-learning residence hall is accentuated by a state-of-the-art Smart Classroom allowing students to communicate with up to 50 people around campus or around the globe. The space features Smart Boards, interactive flat screen monitors, several hundred data lines, large capacity Wi-Fi, and raised flooring that can be adjusted to accommodate special events. 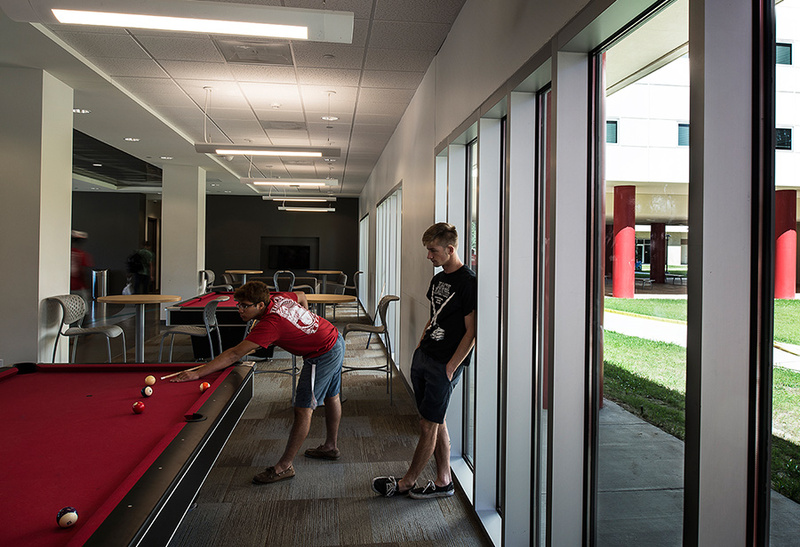 The 300,000 SF project offers 1,100 student beds and student lounges, laundry, kitchen, fitness and study areas. 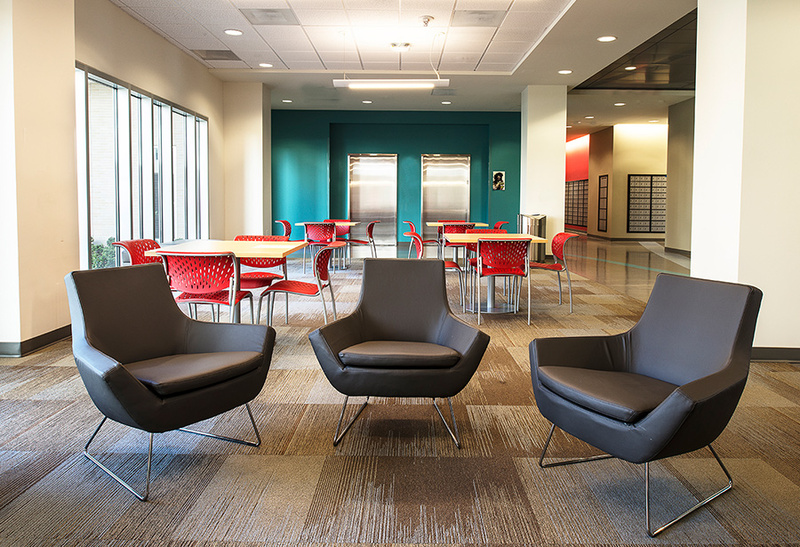 Administrative offices are also located in the building, along with the academic areas that are part of this new living-learning community.